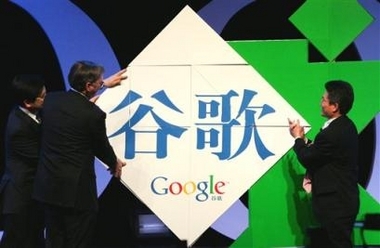 Reuter's scored a sideline interview with Google CEO Eric Schmidt at the Google news conference in China where they announced the name for their China service, which is "Gu Ge" or "Valley Song". "I don't know where (Chinese) revenue growth will be, but it will obviously be large,"
Schmidt said they'll have 100 software engineers working for them in China by this summer at a new research and development center in China, a number that will grow to "eventually thousands,"
"You have an enormous number of computer science and smart people here who are Chinese and want to stay in China," he said. "But there are relatively few companies that are trying to build worldwide R&D centers here, so we have been able to attract the top people."